Have you ever gone into your local wine shop or looked at the wine list in your local bar and thought with a sense of panic ‘Help, what do I choose?’… What sort of wine do I fancy today? A refreshing white? A summery red to take on a picnic or a spicy wine to go with a winter’s stew?’ Well, Oz Clarke is here to help. 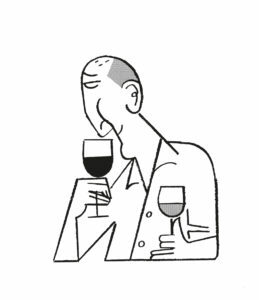 In Wine by the Glass, Oz uses his trademark wit and irreverent style to teach you the basics of wine appreciation and show you how to get more out of a bottle of wine, and find out what is really inside. Below, Oz offers solutions to the common issues of matching wine to food, and matching food to wine. Local wine with local food If you’re in a wine-producing region, drink the local wine with the local food. Sometimes they’ve been going together for a thousand years. Making wine the main event If you want to focus on the wine as the main event, keep the food simple. Red meat with red, and white fish with white sounds pretty dull, but it can be magic. Red wine, white wine Talking of red wine/red meat, white wine/white fish or fowl, it does work. It is best like that. 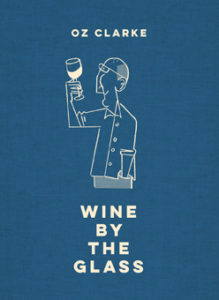 But you can drink red with fish – preferably a soft red – and you can drink full-flavoured, dry whites with beef and lamb. I’ve been to dinners where they’ve served Champagne or sweet Sauternes or vintage port with red meat. All weirdly stunning combinations. Or was it just the company? Was I having too much fun? And that’s a bad thing? Rosé Dry and fruity rosés make excellent partners for a whole range of dishes, from delicate fish to rich, spicy food, but steer away from heavy meat dishes. Light and heavy It’s easy to say light wines with light food, heavy wines with heavy food. Maybe, in a perfect world. Pasta and pizza can get pretty heavy, but light, fresh, edgy reds often go best. The local wine in Bologna (where spaghetti ragù comes from) is bright, frothy Lambrusco, for goodness’ sake. Burgundy has some of the richest food in the world, and some of the most delicate, nuanced wines. They seem to think it works. Dry sparkling wines These are good all-rounders, and are particularly good with shellfish and smoked fish. Champagne with oysters is a classic luxury match, although non-vintage Champagne is more suitable than richer, more expensive vintage ones. Fortified wines Tangy ones go well with nibbles such as olives and salted almonds, and many tapas dishes. Smoked fish is good, too.Warming ones suit many cheeses and also chocolate. Rich sweet wines These work well with blue cheeses and sweet food. Cheese Cheese works with red wine because it softens and flattens the wine’s flavour, so a cheap red wine is probably just as good as a pricey one. So don’t waste your best red on the cheese board. You could try white. White goes really well with most cheeses. Chocolate Chocolate blasts the flavour of a wine, but many wines are chastened and changed by the combination. And I’m talking fullbodied dry reds here. Wines like sweet port or rich old sherries are always worth a punt with chocolate. Curry and wine They say curry kills wine. Well, yes and no. Chilli definitely strips a lot of the taste from wine and tough red wines just end up tougher, but soft reds aren’t bad, and good Pinot Noir and red Burgundy are really very good. But would you really pair an expensive Burgundy with a curry? Cheaper Pinot Noir is rather good, so is Valpolicella, and Beaujolais isn’t bad. But I prefer white, preferably zesty, snappy Sauvignon Blanc. Fish and chips Fantastic with Champagne. If you’re in that sort of mood, anything goes fantastic with Champagne. Vinegar They say you can’t drink wine with vinegary foods because vinegar is usually made from sour wine. Actually, you can. Vinegar will make most white wines taste richer and sweeter. Tricky matches do exist There are one or two things whose flavour simply doesn’t seem to work with wine. Globe artichokes leave wine tasting of metal and oily fish like mackerel make wine taste metallic, though you might give dry sherry a go. Oysters – I know they say oysters go well with Champagne or Chablis. Whatever you drink with oysters tastes of zinc. In many cases the local food and wine combinations that have developed over the years simply cannot be bettered. And sometimes it can be a good idea to let the wine dictate the choice of food – with very special bottles, when you have found an irresistible bargain or when you are casting around for culinary inspiration. Here are a few ideas to get you started on being more adventurous. Cabernet Sauvignon All over the world Cabernet Sauvignon makes full-flavoured, reliable red: the ideal food wine. It seems to have a particular affinity with lamb, but partners all plain roast or grilled meats and game as well as many sauced meat dishes such as beef casserole, steak and kidney pie or dishes with mushrooms. Chardonnay More than almost any other grape, Chardonnay responds to different climatic conditions and to the winemaker’s art. This, plus the relative ease with which it can be grown, accounts for the marked gradation of flavours and styles: from steely, cool-climate austerity to almost tropical lusciousness. The relatively sharp end of the spectrum is one of the best choices for simple fish dishes; most Chardonnays are superb with roast chicken or other white meat; the really full, rich, New World-style blockbusters need rich fish and seafood dishes. Oaky Chardonnays go well with smoked fish. Gamay The grape of red Beaujolais, Gamay is particularly good lightly chilled on hot summer days. Its acidity provides a satisfying foil to the richness of meat dishes and it’s also a good choice for many vegetarian dishes. Grenache/Garnacha Frequently blended with other grapes, Grenache nonetheless dominates, with its high alcoholic strength and rich, spicy flavours. These are wines readily matched with food: barbecues and casseroles for heavier wines; almost anything for lighter reds and rosés – vegetarian dishes, charcuterie, picnics, grills, and even meaty fish such as tuna and salmon. Merlot Merlot makes soft, rounded, fruity wines that are some of the easiest red wines to enjoy without food, yet are also a good choice with many kinds of food – spicier game dishes, herby terrines and pâtés, pheasant, pigeon, duck or goose; substantial casseroles made with wine; and the soft fruitiness of Merlot is perfect for pork, liver, turkey, and savoury foods with a hint of sweetness such as Iberico or Parma ham. Pinot Noir The great grape of Burgundy has taken its food-friendly complexity all over the wine world. However, nothing can beat the marriage of great wine with sublime local food that is Burgundy’s heritage, and Burgundian dishes make perfect partners for Pinot Noir: coq au vin, boeuf bourguignon, rabbit with mustard, braised ham, chicken with tarragon, entrecôtes from prized Charolais cattle with a rich red-wine sauce … the list is endless. Pinot Noir’s subtle flavours make it a natural choice for complex meat dishes, but it is excellent with plain grills and roasts. New World Pinots are often richer and fruitier – good with grills and roasts and a match for salmon or tuna. The best Pinot Noir red wines are wasted on cheese. Riesling Good dry Rieslings are excellent with spicy cuisine. Sweet Rieslings are best enjoyed for their own lusciousness but are suitable partners to fruit-based desserts. 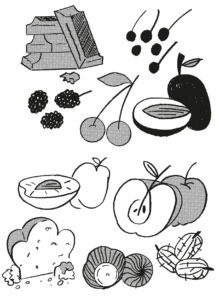 In between, those with a fresh acid bite and some residual sweetness can counteract the richness of, say, goose or duck, and the fuller examples can be good with Asian food and otherwise hard-to-match salads. Sauvignon Blanc Tangy green flavours and high acidity are the hallmarks of this grape. Led by New Zealand, New World Sauvignons are some of the snappiest, tastiest whites around and make good, thirst-quenching aperitifs. Brilliant with seafood and Asian cuisine, they also go well with tomato dishes, salads and goats’ cheese. Sémillon Dry white Bordeaux is excellent with fish and shellfish; fuller, riper New World Semillons are equal to spicy food and rich sauces, often going even better with meat than with fish; sweet Sémillons can partner many puddings, especially rich, creamy ones. Sémillon also goes well with many cheeses, and Sauternes with Roquefort is a classic combination. Syrah/Shiraz Modern Syrah or Shiraz can be rich and exotic or scented and savoury, but it always offers loads of flavour and is superb with full-flavoured food. It is the classic barbecue wine, also brilliant with roasts, game, hearty casseroles, charcuterie and tangy cheeses. Tempranillo Spain’s best native red grape makes juicy wines for drinking young, and matures well in a rich (usually) oaky style. Good with game, cured hams and sausages, casseroles and meat grilled with herbs, particularly roast lamb. Zinfandel California’s much-planted, most versatile grape is used for a bewildering variety of wine styles from bland, sweetish pinks to rich, succulent, fruity reds. And the good red Zinfandels themselves vary greatly in style, from relatively soft and light to big and beefy, but they’re always ripe and ready for spicy, smoky, unsubtle food: barbecued meat, haunches of lamb, venison or beef, game casseroles, sausages, Tex-Mex, the Beach Boys, The Eagles – anything rowdy –Zin copes with them all.